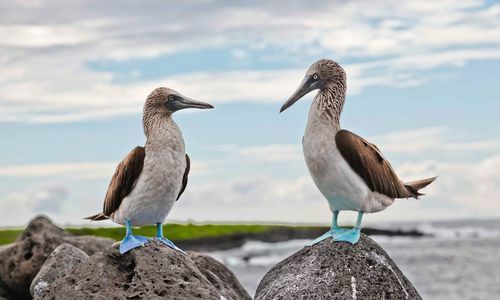 The Galapagos Archipelago, often the main reason to visit Ecuador, consists of 18 volcanic islands which have never been connected to the mainland, meaning that many species have evolved completely independently. 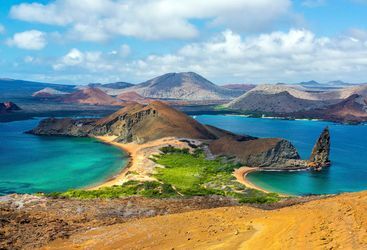 Home to a rich variety of marine and land creatures - some of them found nowhere else in the world - the Galapagos Islands were the inspiration for Charles Darwin's groundbreaking On the Origin of Species, in which he articulated his theory of evolution. 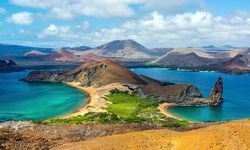 Six hundred miles from the Ecuadorian mainland in the Pacific Ocean lie the Galapagos, which need little introduction - a group of eighteen volcanic, harsh and isolated islands where species have evolved independently from the rest of the planet. 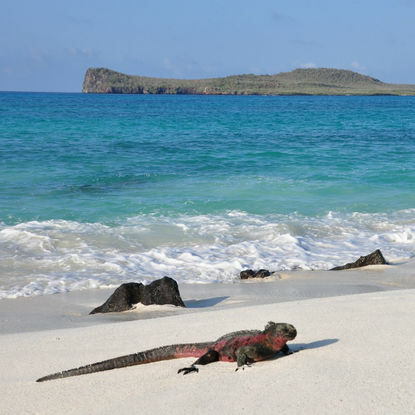 Marine iguanas and giant galapago, or tortoises, capture the limelight but there are many other animals, birds and flora unique to the islands. 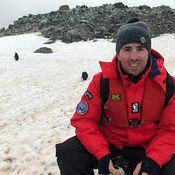 Nearly a quarter of all species found here are endemic and due to their historic isolation have no instinctive fear of man. 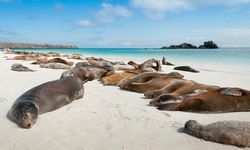 As a result, travellers on holiday to the Galapagos Islands come into close contact with an impressive array of animal life including fur seals, marine iguanas, blue and red footed boobies, flightless cormorants, manta rays, penguins, turtles, and giant tortoises. 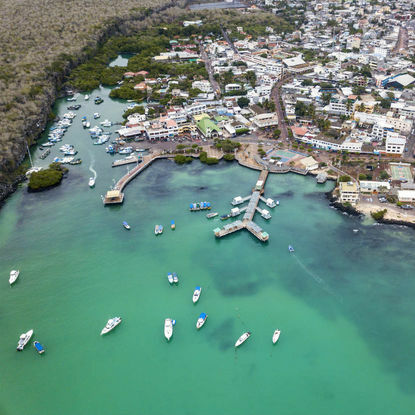 Whenever on land, you are - by law - accompanied by a multilingual and highly-trained guide who should be a fountain of knowledge on all things related to not only the ecology of the Galapagos but the islands' history and culture as well. 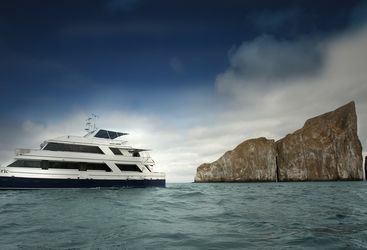 Ask a supremely knowledgeable Original Travel Latin America team member for more information on luxury holidays to the Galapagos Islands, because while all expeditions to the islands are conducted by boat, with landfalls made under the strict supervision of professional guides, from personal experience there are operators we would particularly recommend. 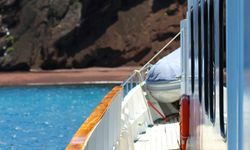 Pick the right boat and this should be a fascinating experience that will see you get close up to some amazing wildlife and possibly even snorkelling or diving with sea lions and penguins. Explore the world's most pristine wilderness, staying in a traditional tented safari camp set on a 55 hectare farm in the highlands of Santa Cruz, with spectacular views out to sea. 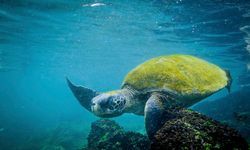 Enjoy the lush surroundings (and their inhabitants - eyes peeled for giant tortoises) typified by sprawling forests, pit craters and lava tunnels, and island-hop by boat in search of sea lions, marine iguanas and blue footed boobies. 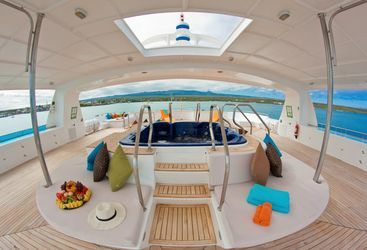 Sail around the Galapagos central islands in a stylish vessel complete with jacuzzi and sun-swathed deck. Visit Santa Cruz to see giant tortoises lumbering in the grassland. 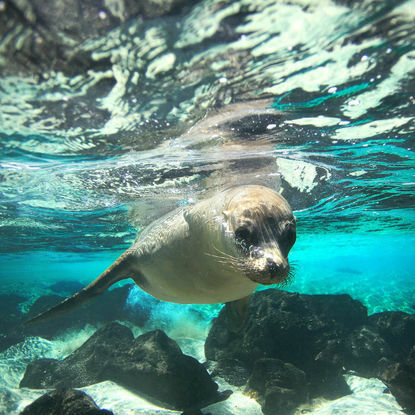 In North Seymour, curious sea lions surf in the waves while you can spot Galapagos penguins as you snorkel. 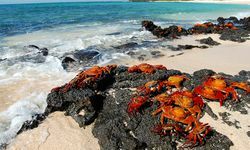 As well as flourishing wildlife, you'll witness iconic landmarks such as the towering Pinnacle Rock, and the Charles Darwin Research Centre. 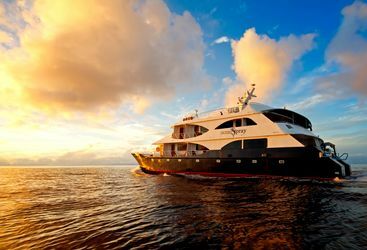 Revel in the rare opportunity of swimming with the Galapagos' extraordinary marine life. 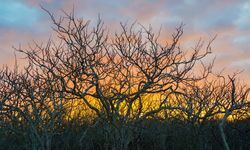 Head to the westernmost island of Fernandina where you'll find a number of rare species, like marine iguanas basking on the lava fields. 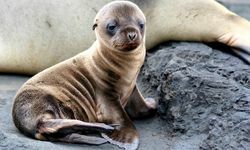 One of the best experiences though, is snorkelling with wild sea lions who are totally unbothered by human presence; watch as they elegantly carve their way through the water - a truly magical marine experience. 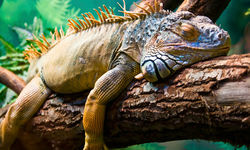 My highlight: Don't miss out on a visit the Darwin Research Centre at Puerto Ayora on Santa Cruz island.